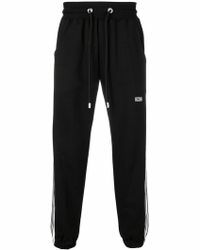 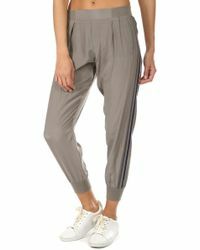 Perfect for evening or lazy days, jogging bottoms get a high-fashion upgrade. 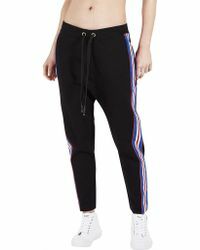 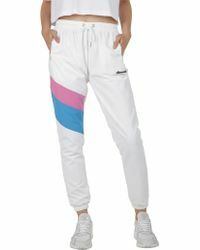 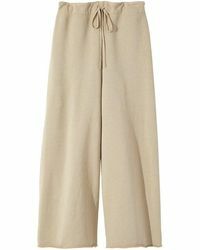 Juicy Couture wide-leg tracksuit trousers in cashmere or velour are the go-to for weekend downtime 'wear them with a biker jacket, tee and wedge trainers for off-duty cool. 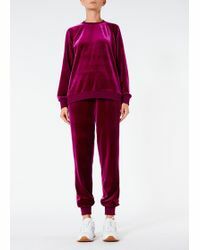 After dark, choose a luxed-up pair (think bold prints, sequin-sprayed or silk) and add a blazer and heels for a sportswear-infused, on-trend look.